On the latest episode of Baker Dave Presents… the Temple pastry chef bakes alongside guest Christopher Carey, Senior Associate Dean of Students, whose job is to help Temple students cultivate a life on campus and find opportunities in leadership. 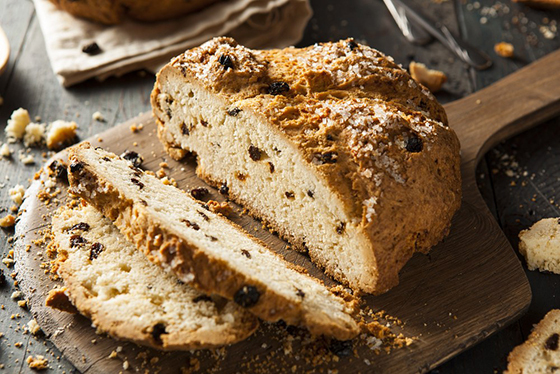 Chris brings his family’s recipe for Irish soda bread, a treat he would make with his mother and give as gifts to his teachers growing up. They discuss the history of the sweet scone-like treat, and Chris describes his career path from selling insurance to working in higher education. Watch the premiere on TUTV this Thursday, August 9 at 11:30 a.m. and 7:30 p.m.